For the third year running, Nautanki Theatre’s 3rd South Asian Festival is a celebration in South-Asian languages, transcending cultures and geographical boundaries, these plays are presented by various South Asian theatre groups who have been performing plays for many years within their community space. Punjabi play Booha Kholo will be presented during the festival. 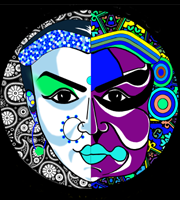 Nautanki Theatre is an independent theatre company based in Sydney which has been promoting theatre on cross-cultural platform since 2008. Currently Nautanki Theatre’s artistic focus lies in story telling that connects contemporary Australian society to South Asian diaspora. Productions of Nautanki Theatre have travelled interstate as well as internationally. With its extensive research and experience presently Nautanki Theatre is producing its artistic creations in Parramatta city. The company is creating a new trend and audience in Western Sydney and motivating various local diasporas to join the Independent Theatre Movement of which this company has been one of the pioneers. Alvida is a play based on true historical events that took place between 1828 and 1916. During these years, the British, who were the rulers of India, uprooted thousands of Indians from their Motherland, tricked and forced them into slavery and relocated and shipped them to far-off colonies like Fiji, Jamaica, South Africa and Caribbean Island etc. The play takes place on one such ship called Jumna where young Indians are being transported to Fiji as indentured labour. Booha Kholo is a poignant & moving play in which the protagonist is dealing with extreme biases and discrimination due to his gender orientation. He is a misfit in his own family as well as the society at large. The play is set in a strict traditional society where there is extreme intolerance for anybody ‘different’. Will the door that has been locked on him be finally opened? Set in the aftermath of the Indian Emergency of 1970’s, the play portrays the dangerous trend of collision between the institutions of democracy. The husband wakes up one morning and reveals his dream to his wife, in his dream he inadvertently kills the leader of the country. The story raises pertinent questions like where does all this fear and anxiety lead us to due to civil unrest? Where do the innocent souls caught in this whirlwind end up? For the third year running, Nautanki Theatre’s 3rd South Asian Festival is a celebration in South-Asian languages, transcending cultures and geographical boundaries, these plays are presented by various South Asian theatre groups who have been performing plays for many years within their community space. A not to be missed event!